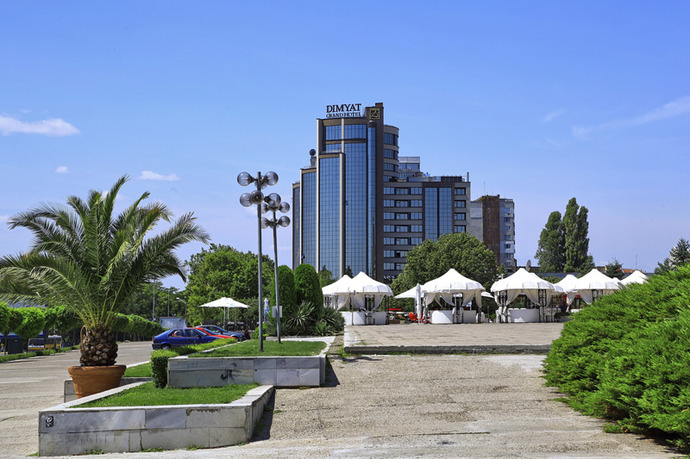 The strategic location of the hotel is ideal for both business and leisure activities Grand Hotel Dimyat is located in the centre of Varna, next to the Palace of Culture and Sports and the Sea Garden. The hotel has 4 single rooms, 69 double rooms and 1 apartment, all with individually controlled air conditioning, free high speed wireless and LAN internet, working desk, flat screen TV, 32 satellite TV channels, mini bar, safety deposit box, allowing laptop storage, telephone, hairdryer, iron and ironing board upon request, bathroom with shower and bath, bathrobes. 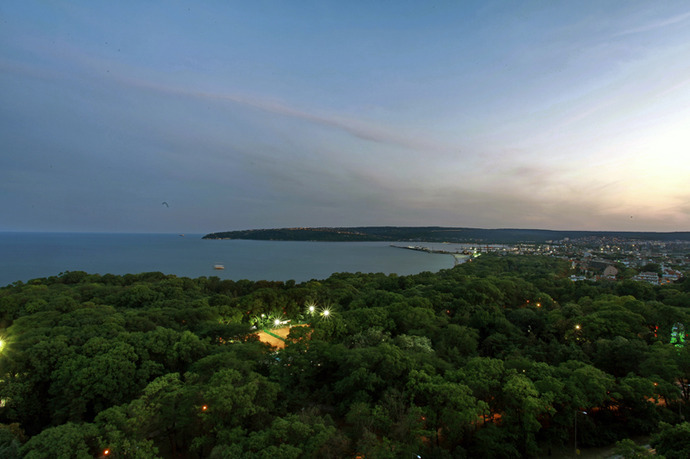 The rooms of Grand Hotel Dimyat are luxuriously furnished and offer a view over the sea and the Sea Garden of Varna. 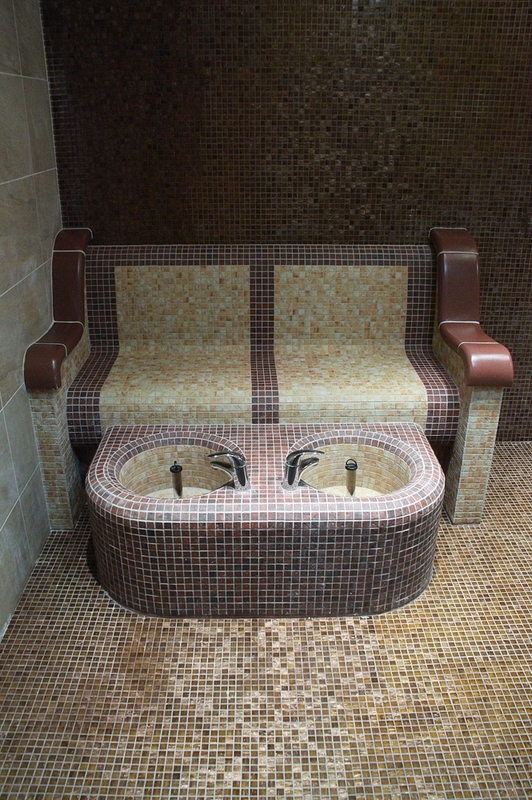 Furniture design is following the architectural concept of the building, avoiding clean geometrical lines. The lighting in the apartment is carefully chosen in order to provide maximum comfort. 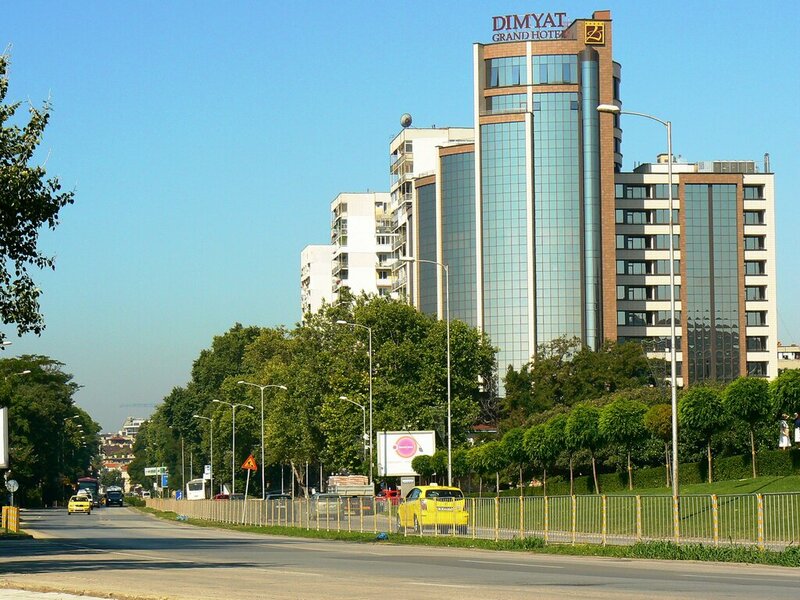 Restaurant with 180 seats, conference room, business centre and business services, banqueting room, parking, smoking rooms, twin bedded rooms, free of charge wireless and cable Internet, laundry and dry cleaning, shoe polishing, pressing, rent-a-car, casino, spa centre. 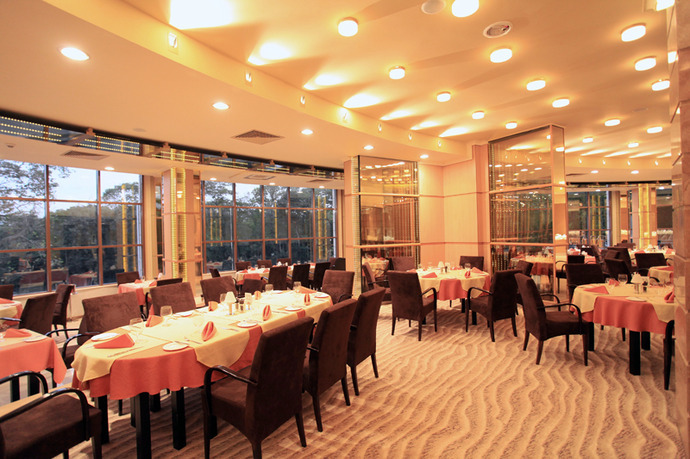 Grand Hotel Dimyat has one conference room with maximum capacity of 150 seats. It is suitable for conferences,seminars and presentations. 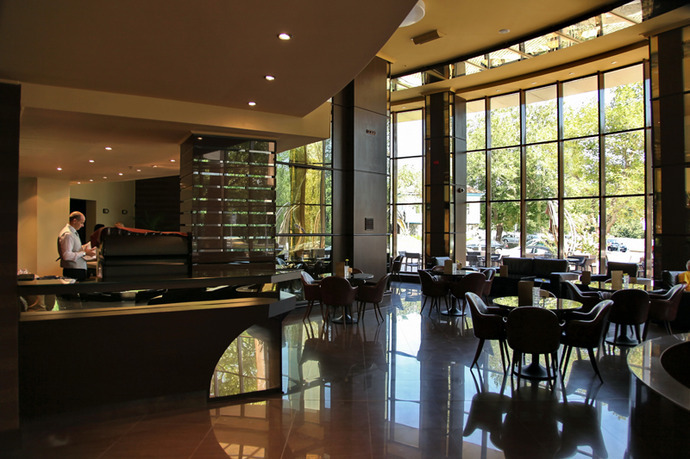 The Conference hall is situated above the mezzanine, next to the Banqueting Room and the main restaurant, a perfect venue for lunch, cocktail or coffee break. The hall has a separate entrance and natural daylight. one conference room with maximum capacity of 150 seats, suitable for conferences, seminars and presentations. One banqueting room for up to 250 guests. It is perfect for weddings, cockatails and official dinner events. 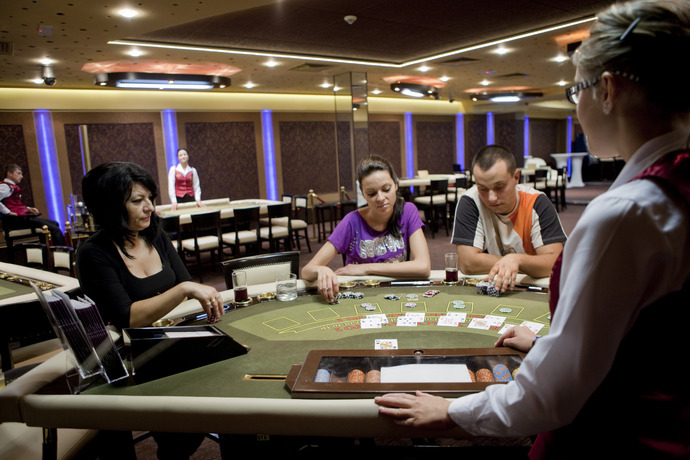 The banquet hall is located next to the main restarant and conference room of the hotel. 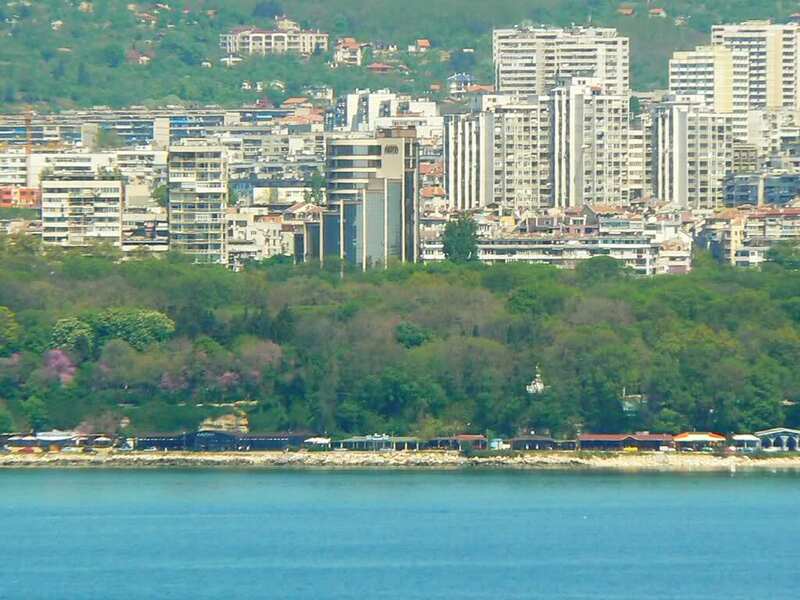 The prices include: Breakfast, high speed internet, safe, community tax and VAT.